The third day of the ongoing Lotus Make-Up FDCI India Fashion Week 2018 witnessed spectacular bridal wears with modern sensibilities. The latest one to give us wedding outfit goal was none other than Yami Gautam, who has become a regular showstopper at the fashion weeks. Adding to that, the actress has been wooing us with traditional wears from quite some time and this time was no different. So, Yami walked down the ramp for the brand WNW (Warp-N-Weft Designs Pvt Ltd) - the brand, which specializes in ethnic trousseau. She wore a gorgeous number, which celebrated the artistic heritage of the country. Also, the red-hued attire of Yami's was a strict departure from the contemporary hues ruling the industry. It made a strong case for the hue that is so integral to Indian weddings. Yami wore a quarter-sleeved blouse that came alive with intricately done embellishments and embroidery. 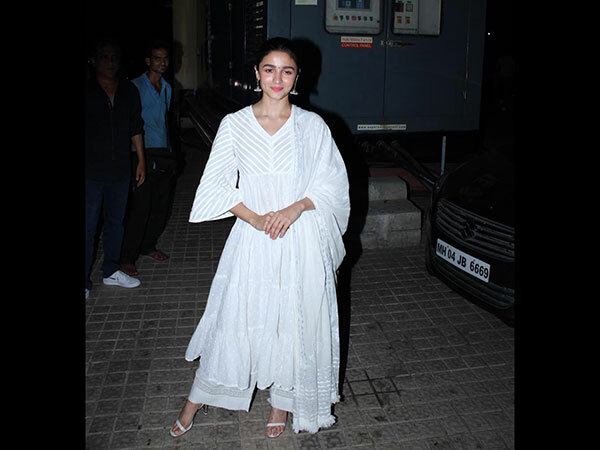 The structural skirt also complemented her outfit, which was detailed with miniature prints and was a reflection of the country's craftsmanship. The embroideries were done in vibrant hues and aimed at glorifying the glorious past. Yami teamed her lehenga with a lightweight dupatta, which was also highlighted by red hue and adorned with floral patterns. The danglers made for a statement piece and accessorised her look of the day. Her makeup was natural and that rounded off her look.